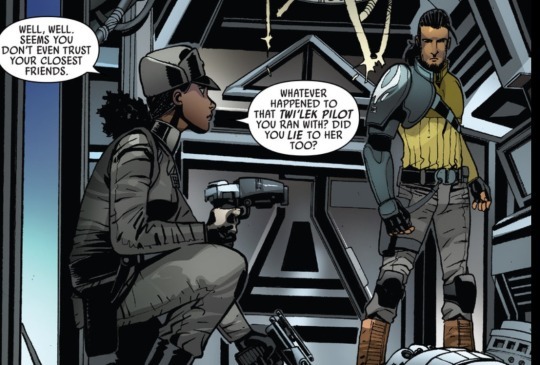 Previously, we covered the synchronicity of Fenn Rau, a character who was introduced on exactly the same day in Marvel’s Kanan title and in the Rebels television show. While Kanan has just wrapped up a twelve issue run, the book took the opportunity for one last wink at those Star Wars fans who have been busy devouring multiple sources for Star Wars adventures. This time it came in the form of Rae Sloane. 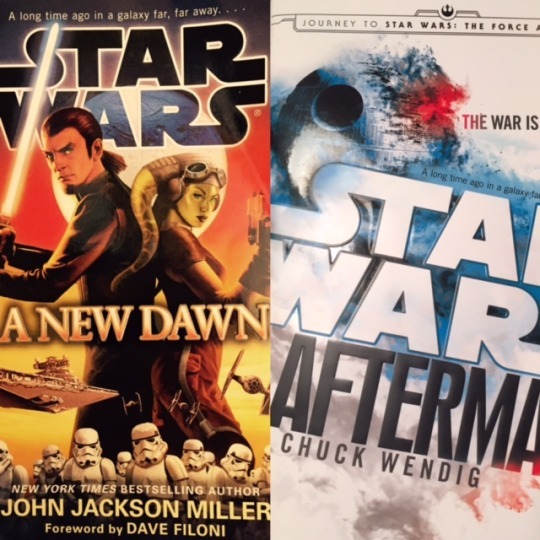 If you’re not familiar with the name, it’s either because you haven’t read the most recent and last issue of Kanan or you haven’t read Chuck Wendig’s Aftermath or John Jackson Miller’s A New Dawn. 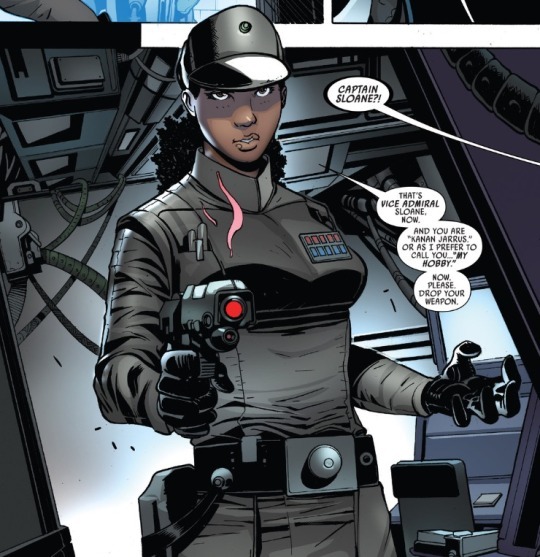 The latter came out in the fall of 2014 and Rae Sloane was introduced as a young Imperial officer, recently granted the captain’s chair of the Imperial Star Destroyer Ultimatum and was placed in the uneasy position of working with Count Vidian, the ultimate antagonist of the novel. In the course of that novel, her and Vidian’s plans are wrecked by two familiar faces, Kanan Jarrus and Hera Syndulla. 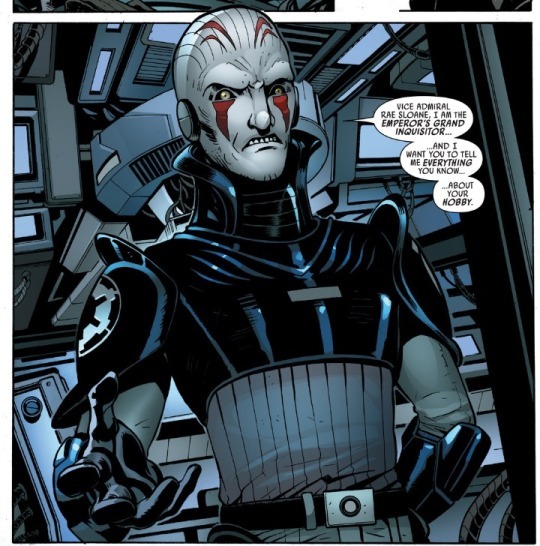 Her story ended in defeat in A New Dawn, but Sloane reappeared in 2015 in Aftermath, now an admiral and attempting to bring the remaining powers of the wounded Empire into a meeting following the destruction of the Second Death Star. While Sloane’s fate remains up in the air, pending Wendig’s up coming sequel, in between these novels, it’s revealed she’s been busy trying to hunt down capture the mysterious Kanan Jarrus who caused her so much grief. The cherry on top, of course, is her asking about Hera. Oh, there was one other cameo appearance, tying Marvel’s Kanan just a bit closer to Rebels.